Around the world, there are many people who keep an eye on Scotland. Amongst these people are those whose ancestors came from Scotland. Thanks to various forces, including the Highland Clearances and Scotland’s enormous Victorian global influence in engineering, many of these people now are resident in Canada, New Zealand, and elsewhere around the planet. There is also a major category of people who have become interested in Scotland for no historic reason – we are seen as a mysterious place in the north of the UK, with fabulous scenery and an interesting cultural heritage. For both categories, as a tourist economy we have to a large extent created a myth. That myth is of a perfect summer scene, with cloudless skies, scenic mountains, fabulous sea views, photogenic livestock and characterful residents. That myth does indeed become a reality if you know where to find it. 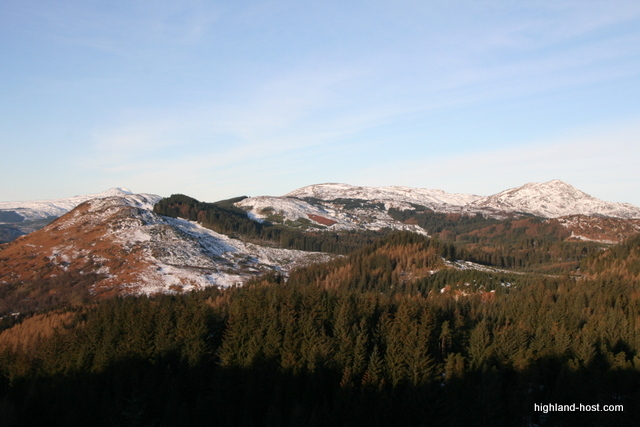 BUT – it does not start to describe the reality of Scotland in winter. We are far enough north for daylight in the winter to be a consideration. Whereas in the summer we can have 20 hours a day of light or more, in the depths of winter it can be dark until 9.00 in the morning, and dark again at 4.30 in the afternoon. That is in the southern Highlands. It is much worse in the northern isles of Orkney and Shetland. Daylight does of course have an influence on the way society operates. In societies with long winter nights, the winter scene takes on a different element. Given that many people in the Highlands work long hours outdoors in the summer, winter becomes the time for getting together as a community. All sorts of indoor activities take place in the winter evenings. As well as darts matches and pub quizzes and whist drives, most communities have access to a very wide range of adult education classes, and this is the time when many folk get together on the ice for a game of curling. So much for winter in Scotland. What about February? The weather in February can still be harsh, but seasonal changes are starting to be seen. The days become noticeably longer, and on the occasions when the sun is seen it begins to have more power. There can still be snow and freezing conditions, but these wintery periods tend to be shorter than in January. There is a reluctance to use the word “spring”, but everyone knows that spring is around the corner. The first of the outdoor sporting events takes place, whether cross-country style running events or perhaps even a canicross event. 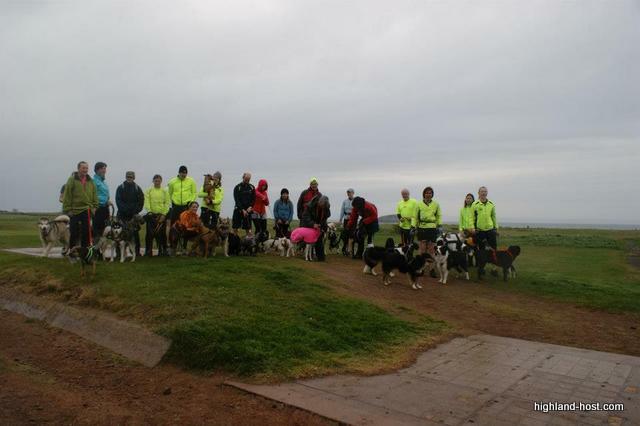 Canicross is really taking off in Scotland. It is a race event – often including two or three distances in the one event – where a runner with a harness around the waist is attached by a bungee cord to a dog that also wears a harness. I was at such an event a few days ago. It was fun – great fun, and evidently hugely enjoyed by both human and canine participants. 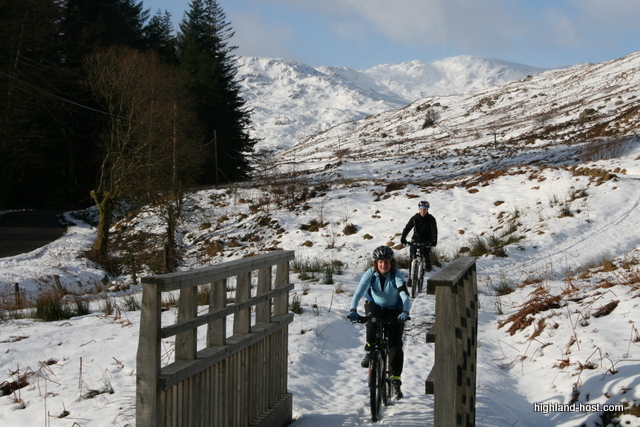 There is a professional organiser of outdoor events called Skidaddle, based in Callander in the Trossachs. This is a good example of a social enterprise organisation that puts great energy into healthy outdoor community events. They hold a number of such events throughout the year, including hill races, mountain-bike races, “10 K” (kilometres) races, biathlons and triathlons, and even a 32 mile ultra marathon. The first of their events, in early February, signals the start of the season. On the land, it is a relatively quiet time of year. Almost all the cattle are indoors, so daily feeding and bedding is part of the routine. The flocks of sheep are approaching their lambing time, and the ewes are fed on a rising plane of nutrition to help produce strong and healthy lambs. There is perhaps some hedge cutting and machinery maintenance taking place. The pheasant shooting season is finished, and on some waters the salmon fishing season is just beginning. Also this is when the famous bull sales are held, when buyers from around the world come to find the best that our breeders can offer. Meanwhile, for many people it is very much “business as usual”. The stills continue to produce their whisky, the shortbread works are in full swing, the salmon continue to be smoked, and the foresters continue to harvest their crops of trees. As far as wildlife is concerned, we are beginning to see birds pairing up ready for the imminent nesting season. In many parts of Scotland, including Fife, Stirlingshire and the Isle of Islay, you can see geese overwintering, before going back to their breeding grounds in Greenland in the spring. The geese feed on whatever green material they can find, and they can do considerable damage to overwintering crops. Often a ‘sacrifice’ crop is planted especially for the geese to eat in order to avoid damage to a more valuable crop. The February scene in Scotland has changed very little from year to year – except in one very significant area. Ten years ago it was rare to see foreign tourists in February, and twenty years ago it was almost unheard of. That has all changed. Tourist coaches and mini busses are busy on the roads, taking their people from tourist hotel to tourist hotel. There are minuses and plusses to coming to Scotland in February. Firstly, you will absolutely need warm clothes with a waterproof top layer. You will also have to be prepared for travel difficulties, caused by snow and ice. You will also find that many of the tourist attractions are closed for the winter. On the other hand, February does hold some real advantages as compared with later in the year. The winter scenery can be fabulous, especially in the more mountainous areas, and the visibility of the scenery from the main roads is much better in winter when there are no leaves on the trees. Shopping can be very good, often there are winter sales in force, and it is probable that customers receive better treatment from sales staff when the shops are not too busy. Overall, I feel that coming to Scotland as a tourist in February is taking a bit of a risk, but clearly there has been some very effective marketing. 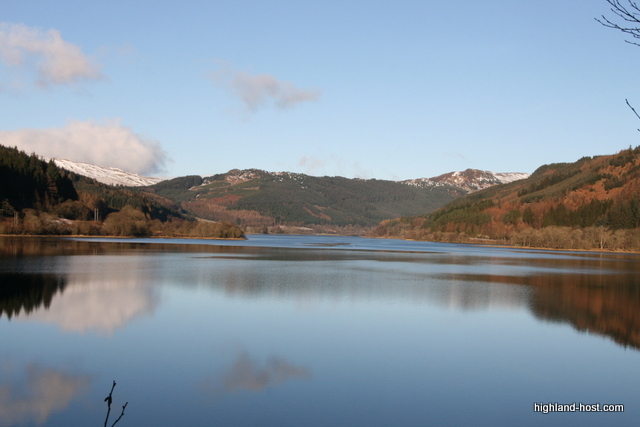 As far as Highland Host is concerned, we do not generally start our tailor-made tours until late April, unless a client has a specific reason for coming earlier.